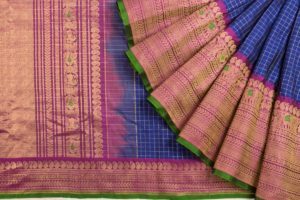 From simple cotton fabrics to bright Benarsi silks and Kanjivaram silks, the range of Indian textiles and prints is unsurpassed. 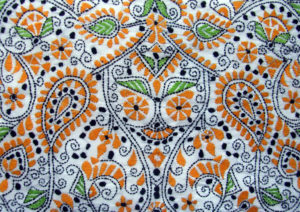 Cotton and silk are popular in South India, Bengal, Varanas, and Gujarat and in several other Indian States. The traditional attire also varies with the region. The sari, which is all of six yards, is traditionally worn by women in South India and East India. The lehengas (long skirts and blouses) are worn by women in Rajasthan and Gujarat. 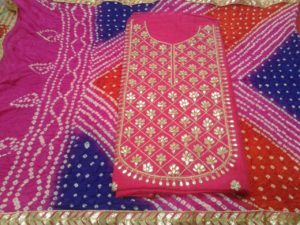 The Salwar Kameez is worn in Punjab & Kashmir.... There is a lot of emphasis on bridal trousseau in India, which mainly comprises of saris and lehengas. While there are markets like xyz, xyz, xyz where these are available, you can also shop for exclusive designer brands for the wedding. The designers also create western wear such as gowns and one piece dresses for the bride. Young Indian women prefer to dress in comfortable western wear to the work place these days. Hence, there are several international brands such as Zara, Marks& Spencer, Vero Moda and others who have opened their stores in malls in India. 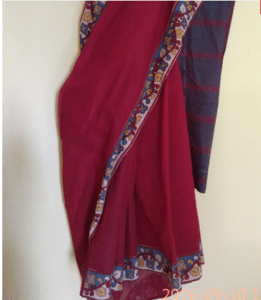 When you travel to different parts of the country, do pick up one piece of clothing that is native to the region like the Jamdani saris from Kolkata, the Kanjivaram silk from down south or the block printed cottons from Rajasthan. 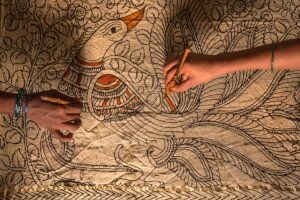 What you will take home with you is the exquisite handiwork of a faceless artisan. At Shopkhoj, we have travelled to different cities to pick out the best clothing shops for women across malls, markets and boutique shops. You now have all the information on where to shop and what to buy before you step out shopping. What is a Gadwal Saree Gadwal sarees are expensive sarees made with super fine cotton.